If you haven’t watched all of the Magic on Shadows over Innistrad weekend and don’t want to be spoiled go watch it now and stop reading! Spoiler warnings aside, congrats to fellow New York Rangers aficionado Jim Davis for his win with Bant Company. If you played a Rally deck before the rotation this one is pretty similar make up (largely a backbone of Jace / Collected Company deck) so a switch would be easy. 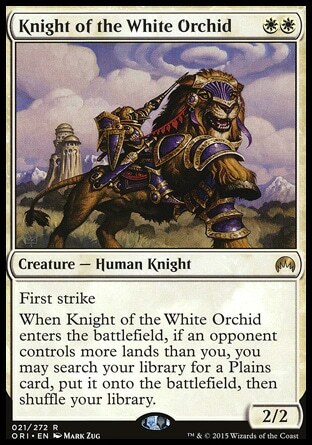 White-based human decks are likely to become a mainstay for people who really like to put on the beatdown. That being said, I think the current price of $2-3 for these rares is unsustainable for a deck that was 29% of the top 32 meta game. I expect these cards to creep up slowly because they’re not very flashy. However, if a humans deck does get a win they will probably spike. If you watched the Open you get to see StarCity Games’ writers a lot if they’re doing well. Well, Todd Anderson was doing pretty well this weekend with this monstrosity of a deck. The price on these have already gone crazy (TCG low is $10 as of Sunday, up from about $2 on Friday) so I wouldn’t buy them until it all settles down. I tried to play a Pyromancer’s Goggles deck a while back but it always ends up being frustrating when you draw the wrong half of your deck. Lightning Axe might be the removal spell it needs to make Goggles consistent enough to play but I don’t think this card can really carry a $10 price tag for long. I’m a seller. Boom flavor, right? This was played in Todd’s deck and is still a bulk rare. If you’re really intent on playing the deck I can’t imagine these being cut. 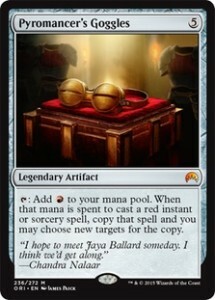 It uses all of your extra mana and works great when forked with the goggles. This is the kind of card I wouldn’t be surprised if it gets played in larger quantities later and goes up to a few bucks. Right now you can buy in for a quarter (and worst case scenario sell it back for a dime) so there is little downside to picking up a personal playset. Roughly 85% of the top 32 deck lists at SCG Baltimore played basic Plains. Of the five decks that didn’t, only one was in the Top 8, and only one more in the Top 16. Turns out all of the white spells are really good right now. 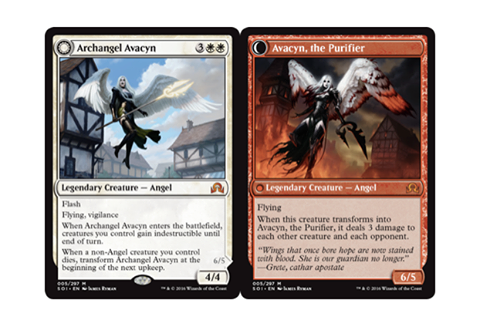 Declaration in Stone, Archangel Avacyn, Archangel of Tithes, and Gideon, Ally of Zendikar showed up in multiple different types of decks this weekend. Declaration in Stone showed up as a 4-of in the 75 of six of seven Top 8 decks it could be played in. The seventh deck was Jim Davis’s which only played a paltry two. 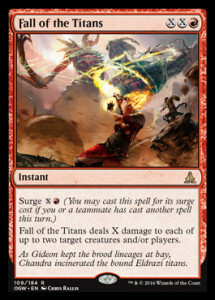 It’s clear this is a real show stopper for a lot of decks and allows the rag tag human army get past anything with ease. I’m going to say this is going to end up a lot like Hero’s Downfall. It has the potential to hit $15-18 for a week or two and then fall down to a more reasonable number once MTGO redemption starts. 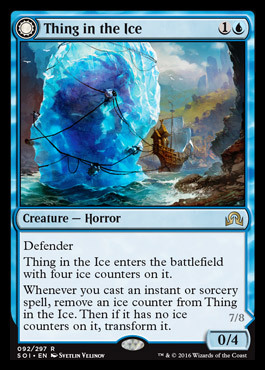 This card has a real chance to be another Jace, Vryn’s Prodigy. I’m not sure yet if it can keep climbing (it’s already $30 on the cheapest places on the internet). There wasn’t the full four copies in every white deck because some of them played 22 lands and having consistent 5-drops is overly optimistic. 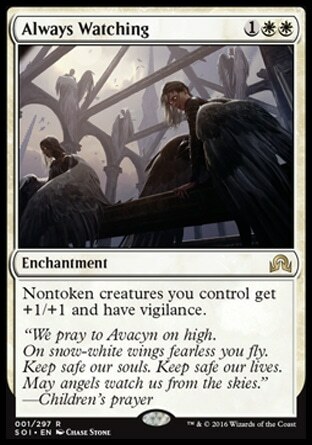 The casual angel appeal will also keep this card high so I’d expect it to follow Declaration in Stone’s trajectory and become cheaper once MTGO redemption starts. Right now I’m selling my extra copies to lock in profit. Westvale Abbey was definitely really good in the decks it was good in. That sounds pretty obvious but Dragonlord Ojutai was really only mediocre in the decks it was good in. 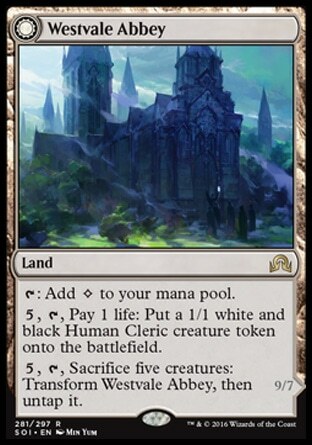 Token decks that can dedicate whole turns to flipping the Abbey will be a real factor in Standard. Their ability to chump humans until they can assemble a 9/7 haste lifelink to catch them up is huge. Going forward this style deck might morph into a more all-in version with Cryptolith but time will tell. I think this deck will be most affected by testing and tuning done at the Pro Tour. All that information aside, I’m super not interested in hanging onto Abbeys or Secure the Wastes with their current price tag. If we are going to see great innovation in Modern I would keep a close look at GP LA/Charlotte weekend. We will see big movers then. 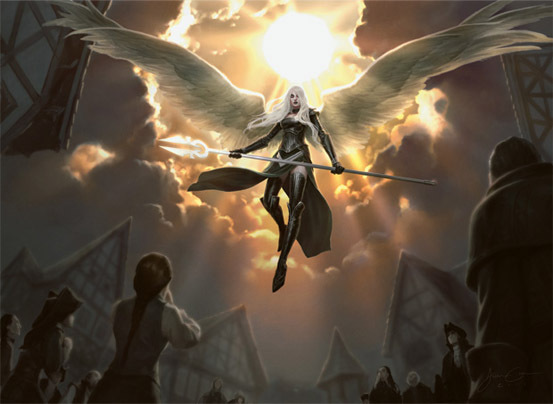 Shadows over Innistrad EV is very high right now. I’d sell everything you are not actively playing with while you still can. Jim, well done summary of the event and of many of the showcased cards. I just want to add that Tireless Tracker drew rave reviews and it’s price went up close to 300%. 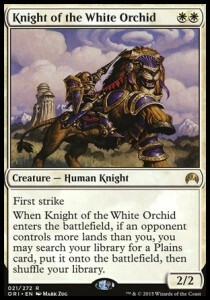 Knight of the White Orchid is already $5 and SCG was out (as of yesterday). 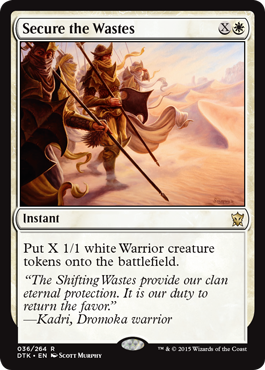 And it seemed like the SCG writers/players all seemed to say that Anguished Unmaking was a required 2 of in any deck that could support it. I was shocked I didn’t see more decks running 3 Languish with 1 or 2 Tragic Arrogance but it was week 1. I also was amazed by the lack of Ultimate Prices and think WB decks might be the best call moving forward (and splashing green maybe for CoCo and Tracker). I hope I already have my 2 byes for next year but I can’t grind as much as u anymore. NYC might be my last big event of the year, so good luck picking up your wins and byes. Ultimate price I think is in a bad place with Bant winning and the prevalence of the B/W eldrazi midrange decks. I’m not sure people were prepared enough for how good humans was going to be week 1 but Languish is definitely a good option going forward. do you think Gideon will ever recover some of his price? stores around here wont even take him right now and i havent been able to move the extra copies i have opened. Probably not. It’s very difficult for any mythic rares in standard to hold extremely high values and usually just fall for their life in standard past their first pro tour. I expect Gideon to fall to $10 or less in the next 6 months. Those Humans decks really wanted Planar Outburst or Descend Upon The Sinful. The board wipe doesn’t seem intuitive, but old school weenie decks ran 4 Wraths if they got overwhelmed, then were quicker to rebuild than their opponents. No reason why such a strategy couldn’t work now. I don’t think that the quality of cards allows you to do that anymore. The humans decks don’t get overwhelmed, their cards just get outclassed as the game goes longer. Killing everything doesn’t really solve that problem.